For two years in a row, the winner of Best Picture at the Oscars has gone to a Michael Keaton movie. With all eyes on his latest, The Founder, studio The Weinstein Company has decided to position it as their frontrunner for awards season. Originally slated for November 25, 2016, it was shifted four months ago to an earlier release of August 5. With less than a month’s notice, they’ll now be serving it up in limited release on December 16, 2016, before opening wide in January. 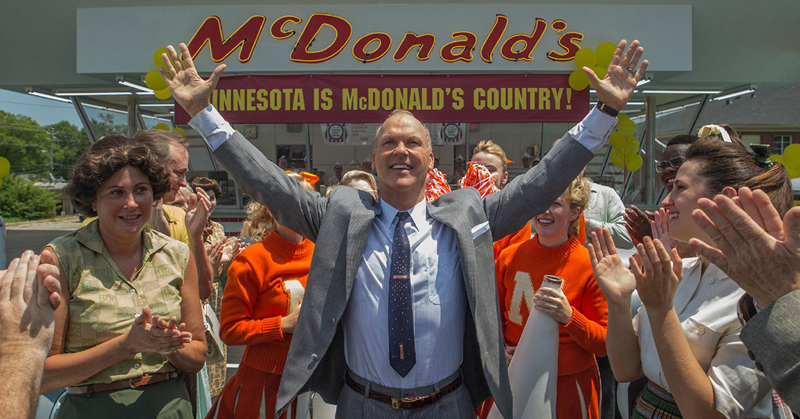 The Founder stars Michael Keaton as Ray Kroc, the sly businessman whose questionable practices built McDonald’s into the biggest fast food chain in the world, while pushing the original owners, the McDonald brothers (Nick Offerman and John Carroll Lynch), out of the picture. One factor for the shift seems to be the glowing reviews test audiences have given the movie, which likely changed The Weinstein Company’s views on the movie’s award chances. The move also comes on the heels of pre-release tracking for Suicide Squad to achieve a $100-125 million opening when it opens August 5, the same date The Founder would have. While The Founder won’t have to battle Batman villains for the box office anymore, it’s now just got to worry about competing with a little flick called Rogue One: A Star Wars Story.